About me - rosalbarts Webseite! For the artist, Rosalba Arcilla, the realities of the inner and outer worlds converge on the canvas. 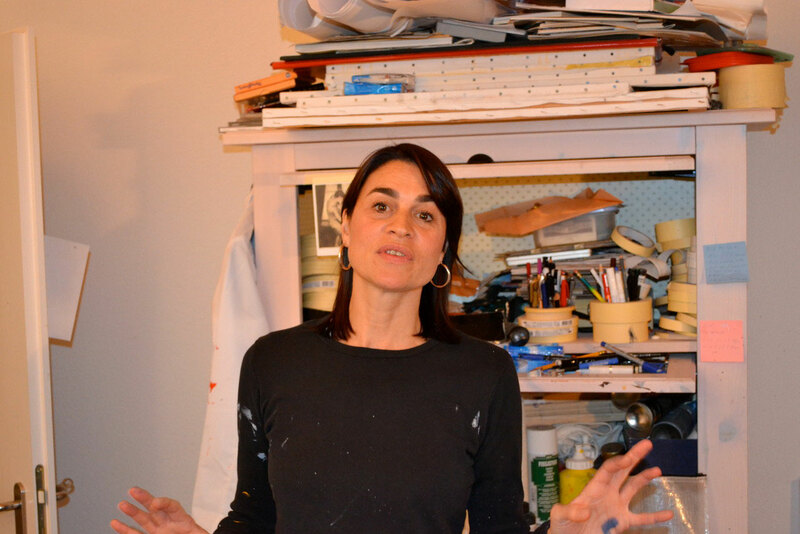 Her paintings are characterized by persistent new beginnings, constant metamorphosis and a continual rediscovery. The modernity of her shapes, created detached from the oppressive situation, is recognizable in the freedom with which they are remodelled. Travelling, her passion for music and literature as well as her openness to other cultures and people are her sources of inspiration. She sees her work as the interplay between creative spirit, material and handicraft. 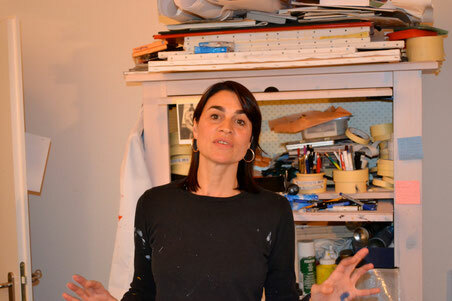 When painting, experimenting with various means helps her satisfy a desire to find equilibrium between order and structure, but also between planning (technique and choice of material) and surprise. For her, giving the beholder enough space for their interpretations, sentiments and impressions is important.